This Friday I have a very pretty Fabergé pendant locket for you. It was made by Anders Nevalainen, sometime between the years 1896 and 1908! 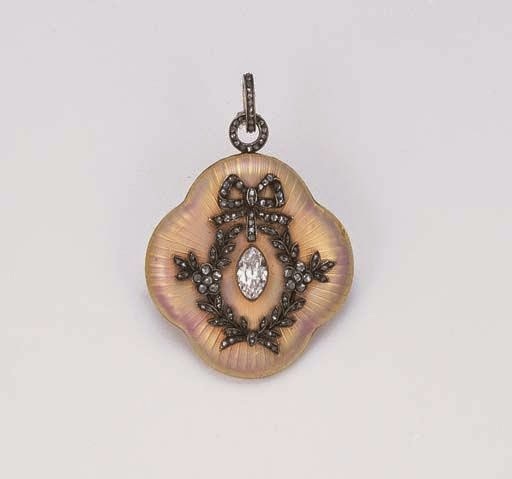 The locket is covered in pink enamel over a guilloché ground. It is decorated with a foliate wreath motif set with rose-cut diamonds, with a large marquise-cut diamond in the center. The width of the locket is 1.3'' (3.2 cm). I found it at Christie's.